GE Measurement & Control Solutions is committed to designing and manufacturing high-quality, high-reliability products for harsh industrial environments. 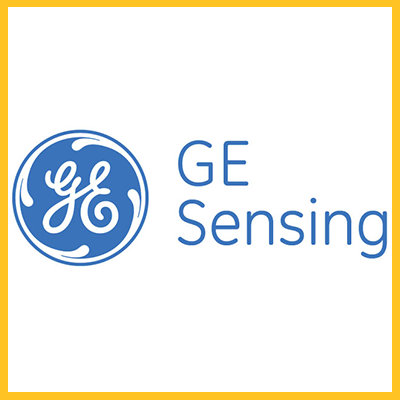 Designing and manufacturing high performance pressure measurement equipment controllers, calibrators, transducers and transmitters for a wide range of applications; GE Sensing has one of the most comprehensive and technologically advanced silicon processing facilities in the world. Multi-disciplined engineering teams are experienced in the use of a wide range of materials, hybrids, ASICs, microprocessors, and surface-mount technology. GE Sensing is one of the few companies converting raw silicon into finished products by employing techniques such as micro-machining. This commitment and drive has established GE Sensing as an industry leader in nondestructive testing equipment. GE Sensing is equally committed to providing a healthy and safe environment for our customers, suppliers, business partners, employees, and neighbors by conducting all business activities with a focus on environmental impact. Recycling of office waste and circuit boards has been a part of our standard operating procedure for several years. GE Sensing is proud to do its part in improving the environment. This microprocessor controlled digital pressure gauge combines precision and functionality in a compact and simple to use package. Now ATEX Certified. 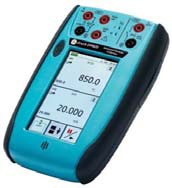 The DPI 620 is an ultra-compactelectrical, temperature and frequency calibrator and HART communicator. 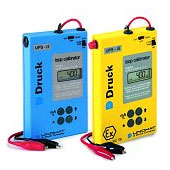 The UPS II loop calibrator is an advanced handheld process calibrator tool. These industrial pressure transmitters offer both price and performance while providing flexibility from a standard production device. Each pressure station is designed for stand-alone operation as a pressure generator and can replace conventional hand pumps and gas bottles to provide greater efficiency and ease of use. These industrial pressure sensors are designed for use with aggressive pressure media found in many industrial and process applications. This hydro static liquid level sensor is designed to work in low powered, arduous applications including surface water, ground water and tank level. The TransPort PT878 portable liquid flow meter packs big features into a compact, light package. This ultrasonic flow meter combines state of the art flow measurement capability with a rugged, low-cost transmitter package. This ultrasonic flow meter brings the simplicity of loop-powered installation to clamp on ultrasonic flow measurement. This wetted ultrasonic flow meter system is for liquids, gases or steam offers options for one or two-path transducers and local or remote electronics. The PanaFlow ISX liquid ultrasonic flow meter is a complete loop powered system that is intrinsically safe. 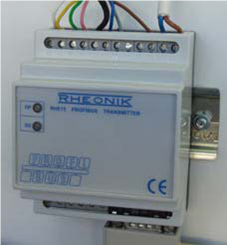 A full range of Rheonik transmitters is available offering a comprehensive set of features for end users. Select a transmitter based upon application requirements. 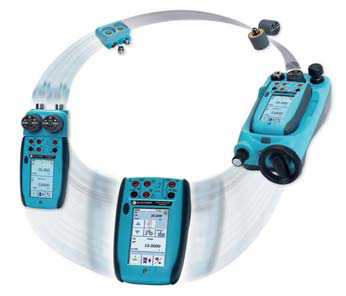 Rheonik Coriolis transmitters provide a variety of communication interfaces to DCS or PLC systems. GE Sensing offers a variety of accurate, maintenance-free ultrasonic and vortex multivariable flow meters and Coriois Mass Flow meters that can take measurements reliably over a very wide range of pipe sizes and flow conditions. Accurate and versatile, GE’s fixed installation flow meters provide and unrivaled combination of powerful features to meet our customers needs. For testing, service and troubleshooting, GE portable flow meters offer the ultimate in flexibility and ease of use.